94, went home to be with the Lord on Wednesday, November 14, 2018. She was predeceased by her husband of 54 years John D. Bell. She is survived by her son and daughter in law Larry and Joy Bell, Destin, FL; daughter and son in law Suzanne and Terry Snyder, Johnson City, NY; grandchildren Matthew and Jane Marie Bell; Kimberly and Charles Stoltz; Jesse and Stacy Snyder; Ashley and Chad Gray; great grandchildren Franko Bell, Alexus and Logan Snyder, Noah, Micah, Jonah, Moriah and Isaiah Gray; Jean Kot (Matthew and Kimberly’s mother), Johnson City, NY. Ruth was born on October 29, 1924 in Johnson City and has been a member of Boulevard UMC from the cradle roll through her adult life. She taught the Sunday school class, the Seekers at Boulevard for many years. She touched countless lives sharing her knowledge of the Bible with everyone. Ruth was a member of the Eastern Star. The family would like to thank Jen and Alicia for their love and care of their mother. The family will receive friends on Tuesday, from 12:00pm (noon) until 1:00pm, at the Barber Memorial Home, Inc., 428 Main St, Johnson City. All other services will be private. 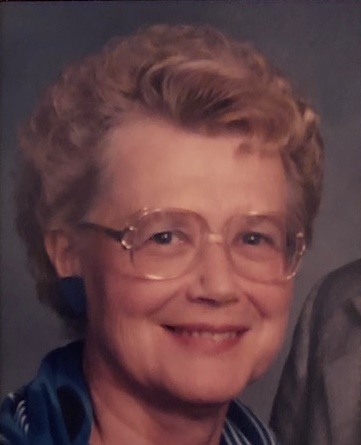 In lieu of flowers, donations can be made in Ruth’s name to the CHOW Pantry, C/O Broome County Council of Churches, 3 Otseningo Street, Binghamton, NY 13903.